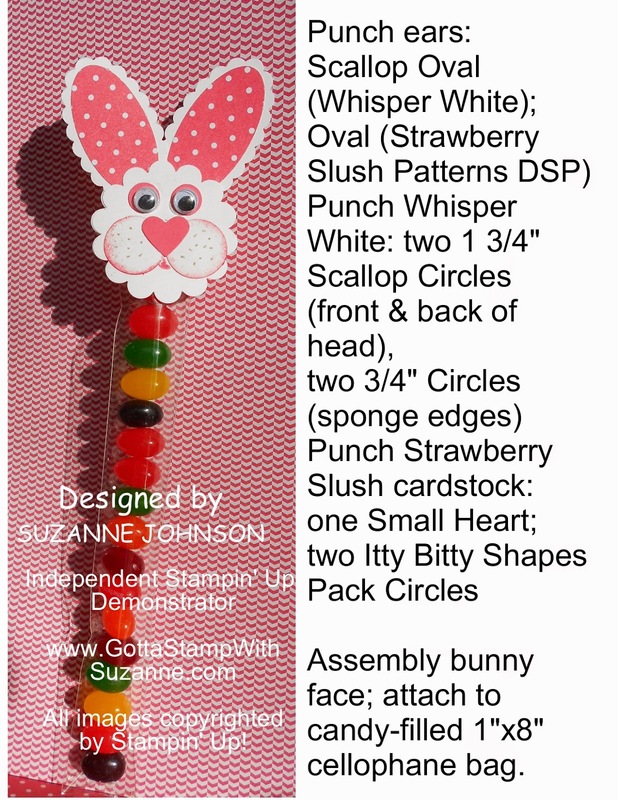 GOTTA STAMP WITH SUZANNE JOHNSON: ON WITH THE IN COLOR PROJECT PARADE: MORE EASTER TREATS! ON WITH THE IN COLOR PROJECT PARADE: MORE EASTER TREATS! Here are two more treats for Easter! The first is an adorable bunny face to decorate the top of a 1"x8" cellophane treat bag. This one is filled with jelly beans. The featured In Color is Strawberry Slush, paired with Whisper White. The whisker dots on the cheeks are Baked Brown Sugar (fine tip end of the marker). 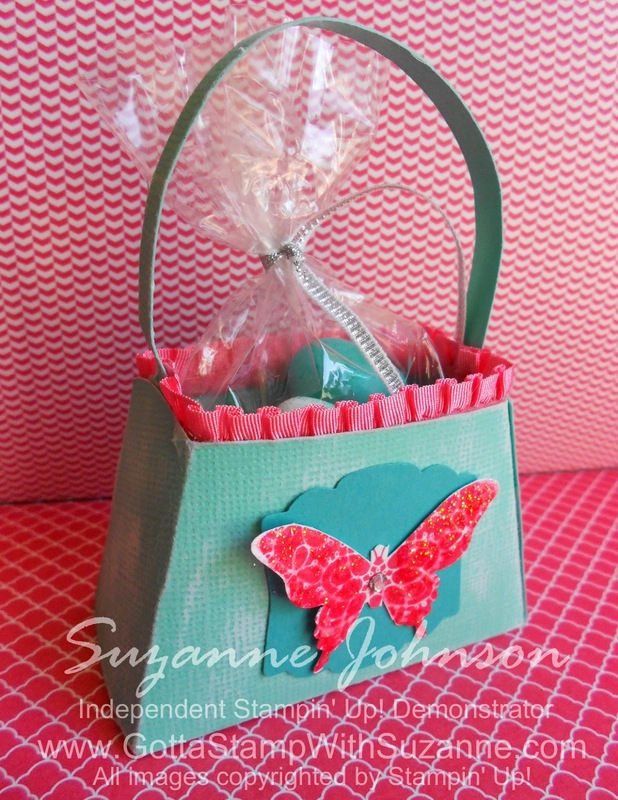 The next treat project is made with the Petite Purse Die. 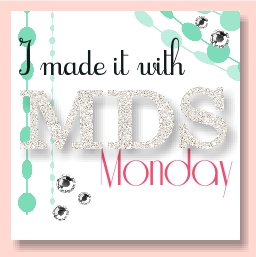 It can be done in many variations of color, cardstock or paper, and embellishment. At my event this month, you will have a number of choices (generally noted in the caption). For this sample, I used Coastal Cabana Core'dinations cardstock, lightly sanded, trimmed it with Strawberry Slush Stretch Ruffled Trim, and added a Bermuda Bay Artisan Punch shape with a Strawberry Slush stamped butterfly ("Creative Elements" set), punched with the Elegant Butterfly Punch. That punch really coordinates with the butterflies in "Papillon Potpourri" so I trimmed this one just a bit after punching it. 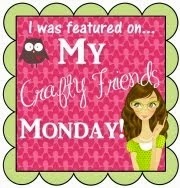 To finish it off, I added a Basic Rhinestone and Dazzling Details. And of course, there is a little bag of M&M chocolate eggs tied with 1/8" Silver Ribbon from the Occasions Catalog.